2018 was a momentous year for the Islamic Republic of Iran, and specifically the Iranian Resistance or the People’s Mujahadeen of Iran (PMOI). After the disastrous betrayal by the Obama administration during the 2009 uprisings, and the follow-on enabling of the mullah’s terror machine by Valerie Jarret and the gang, the arrival of the Trump’s administration’s policy to reverse Iran’s attempted hegemony in the Middle East and its nuclear agenda have been a Godsend to the effort to bring down the murderous regime. The clear-eyed policies of the Trump White House are a welcome change to all who value freedom and a peaceful world. The PMOI has taken full advantage of the reversal and has stirred a vast uprising across the Iranian countryside, with more than 1,000 resistance units participating in all cities. The regime has counteracted with terrible repression but the PMOI/MEK persists in its efforts to bring democracy and tolerant Islam to Iran. Mohammad Mohaddessin, the chairman of the Foreign Affairs Committee of the National Council of Resistance of Iran, declared, “The year 2018 was the year of continuation of protests on the one hand and the return of sanctions on the other. The message of 2018 was that despite heightened repression, including intimidation and arrest of thousands of protests the regime failed to stop the nationwide protests and strikes, which demonstrated the Iranian people’s unwavering resolve to overthrow the ruling theocracy and establish democracy. The mullahs have never been so weak, fragile, and vulnerable. They are isolated at home and abroad. As such, the regime’s overthrow have never been so within reach. 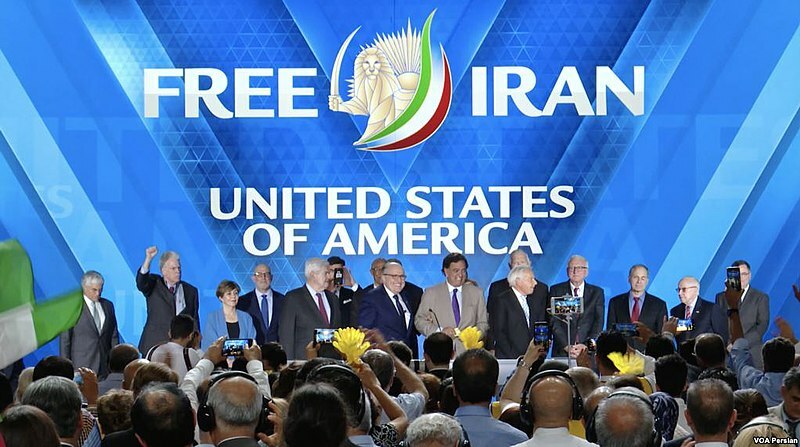 In 2018, the regime’s leaders, including Supreme Leader Ali Khamenei, Hassan Rouhani and Islamic Revolutionary Guard Corps commander repeatedly acknowledged and expressed concern over the role of the MEK and the ‘resistance units’ in organizing and leading the protests. They also expressed anxiety about the popularity of the MEK among women and youths. In addition, Amnesty International finally released a long-awaited report on the mass murder the regime committed against the movement where thousands of political prisoners were executed in a short period of time, outdoing Hitler’s killers in its efficiency. While Amnesty says more than 5,000 were killed, the actual number, according to other credible sources, is closer to 30,000 victims. Still, this was only a fraction of the more than 120,000 murders the regime has committed against the movement since its inception. What Are Iranians Saying About The US Decision To Leave Syria? “A major public pressure campaign, including a strong push at the U.N. by the United States, is needed to compel the U.N. secretary-general to initiate an independent inquiry into the massacre, and refer the dossier on the 1988 massacre and other regime human rights abuses to the Security Council for the adoption of punitive measures against Tehran leaders,” said Ali Safavi, an official with the Foreign Affairs Committee of the Paris-based National Council of Resistance of Iran. As we write this article, strikes and protests are happening across the real Islamic State, Iran. The regime will continue to try and stop the coming revolution with the only thing they have to offer – death. 2019 looks to be an even more monumental year for hopes for peace in this turbulent region of the world.